Hawkins is a full-time English professor at Elizabethtown Community and Technical College, and in 2008 she also began serving as music director for South Jefferson Baptist Church. In the summer of 2014, Hawkins says she sensed conviction from God that she was not treating her position of music director as a serious calling. Southern Seminary had a “wonderful reputation,” and her family lived in Louisville, so she enrolled in a Master of Arts in Worship program in the seminary’s Billy Graham School of Missions, Evangelism and Ministry. The first episode in which she competed aired March 25. During the category of answers that did not include an “L,” she was asked to name a food from the book of 1 Corinthians. Hawkins could not come up with the correct answer: meat. Later, she talked about a New Testament II class she is taking this semester. The class will cover 1 Corinthians, and she said, “I’ll know after Tuesday, April 7, whether or not that class would’ve helped me answer that question." 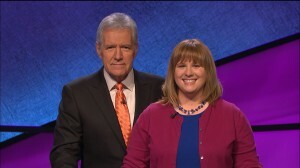 Hawkins’ two-day reign as a “Jeopardy!” winner ended on the March 27 episode. Besides her speedy opponents, a difficult Bible question also challenged her in the Final Jeopardy section. Hawkins had to name the transportation company founded in 1948 that took its name from the book of Hosea. She could not think of the answer — El Al, Israel’s national airline — and neither could the other contestants. Hawkins, however, had the lowest total, so that ended her time on the show. In 2008, Hawkins found the 50-question eligibility test online that “Jeopardy!” contestant managers use to decide who competes. Hawkins performed well enough to get an interview in Chicago, but she was not invited to be on the show. In 2011, she tried again with the same result. Finally, in 2014, her test results got her an interview in Chicago, but this time she was invited to compete on the show. 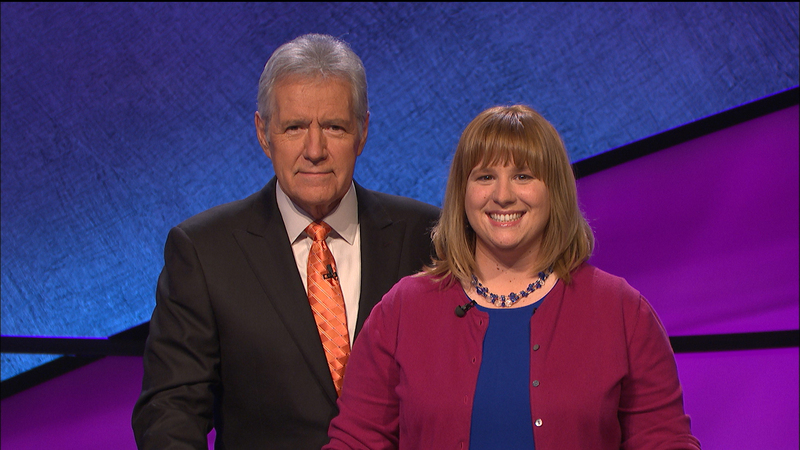 Now that Hawkins has fulfilled her childhood dream of competing on “Jeopardy!” and returned home with a substantial sum of winnings, she says the money will be put to good use.